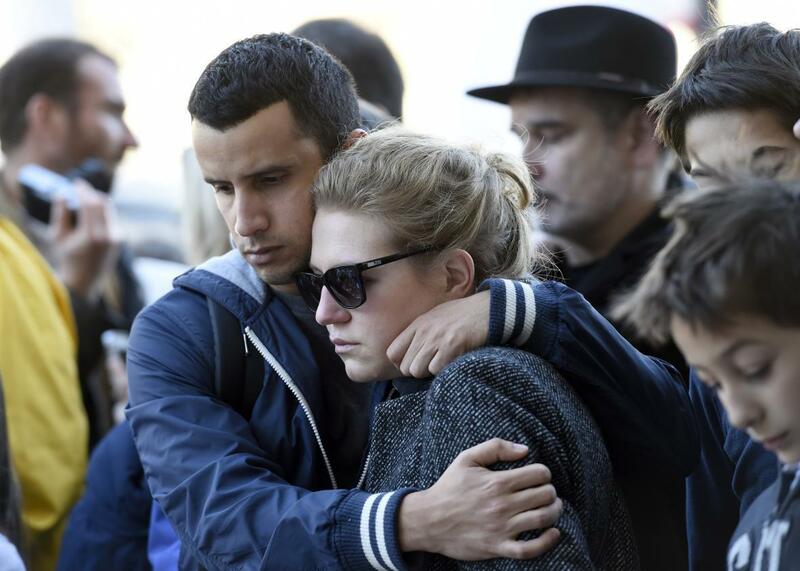 Paris attack: Why the terrorists targeted the Eagles of Death Metal concert. Why Did the Killers Target the Eagles of Death Metal Concert? They attacked a young, multiethnic, bohemian vision of Paris that they cannot comprehend. People comfort each other in front of a memorial set up along a police cordon close to the Bataclan concert hall on Nov. 15, 2015, two days after a series of deadly attacks in Paris. PARIS—I got home to my apartment in the 19th arrondissement two hours late Friday night, well after midnight, having made my way from the Gare de Lyon by bicycle through the neighborhoods of Paris around the Bataclan. A large segment of the 10th and 11th arrondissements had been cordoned off as a security zone, as the police planned to raid that concert venue and put an end to a rapidly worsening hostage crisis. It cannot yet be determined why, precisely, the attackers chose an Eagles of Death Metal concert to unleash their carnage (some indications tell us that they chose the Bataclan out of hatred for its Jewish owners). But we can at least say with certainty that, if the jocularly named band had anything to do with the choice of target, the attackers failed, epically, to get the joke. Violent fundamentalists are not well-positioned to appreciate even the most obvious humor while this band’s humor is subtle indeed: The original Eagles, led by Don Henley and Glenn Frey, were the quintessential soft-rock outfit, who in 1972 unleashed on the world their painfully mellow hit, “Peaceful Easy Feeling.” This music is the natural and total opposite of death metal, and in this respect to be an “Eagle of death metal” is a conceptual impossibility. By its name, the band whose concert was attacked Friday night cloaks itself in oxymoron. Fundamentalists hate oxymorons. What does not fit into convenient and clear-cut conceptual categories is frightening to them, and must be eliminated. Hence for example the imposition of the most rigid gender roles in fundamentalist societies, which ISIS has elevated to new extremes in the territories under its control. But of course, in this case, since they could not get the joke, they could not hate the oxymoron. If they thought about the band’s name at all, it is far more likely that they took the allusion to eagles to be a sincere tribute to a schlocky symbol of American power. And what of the “death” in “death metal”? Could they not recognize a certain kindredness there? Aren’t the ISIS operatives members of a death cult of their own? Again, the Eagles of Death Metal are not a death metal band, but rather a self-ironizing group from Palm Desert, California, associated with the microgenre of “desert rock,” a fairly innocuous variety of fun-loving 1970s-inspired blues rock. But in truth the Eagles of Death Metal were extremely eclectic. Guillaume Decherf, a critic for the legendary French music magazine Les Inrockuptibles, wrote in his review of the band’s latest album, Zipper Down, that the the album was, among other things, “revisiting Duran Duran in bonkers electro-stoner mode.” Decherf was killed Friday night at the Bataclan. The Zipper Down review was his last. In any case, even if they were a death metal band, the most common self-explanation given by denizens of this oft-stigmatized scene is that it is in the end an affirmation of life, not a love of death, which draws them to this music that pushes to the very limits of noise and that serves as the pretext for intense, collective experience. So the Eagles of Death Metal have nothing to do with eagles (whether of the soft-rock or patriotic American variety) or with death metal (which in turn has more to do with life than with death). Why then did the terrorists target them? Are the Eagles of Death Metal obscene? Well, sort of. They like to mix things up in ways they aren’t supposed to be mixed up. They are not obscene, however, in ways that many progressive Westerners of a liberal or leftist orientation understand this notion. They do not hoard wealth and resources and force others to live in abject poverty. They do not help to maintain impediments to the health, well-being, and social integration of refugees and other marginalized communities. These are varieties of obscenity with which ISIS is significantly less concerned. Their precise aim in the Paris attacks was to eliminate the very people who serve as a check on rampant xenophobia and violent reaction in France: to kill the utopia of the young multicultural bohemians who believe, above all, in happiness. To put this another way, fans of the Eagles of Death Metal and cartoonists for Charlie Hebdo are substantially the same from the point of view of the killers: They like jokes, and seem to be enjoying themselves. They are obscene, and deserve to die. Now, in the aftermath of the carnage, let us not just carry on about high ideals like freedom and “civilization.” Let us be clear: Obscenity must be defended.